Mrs. Tania Moussallem, Selected as one of the most influential women in the Arab Banking Sector by the Union of Arab Banks, Mrs. Tania Moussallem boasts over 20 years of banking experience. She is currently the Executive General Manager at BankMed. Prior to that, she was the Assistant General Manager heading the Strategic Development and Financial Management Group at BLC bank. 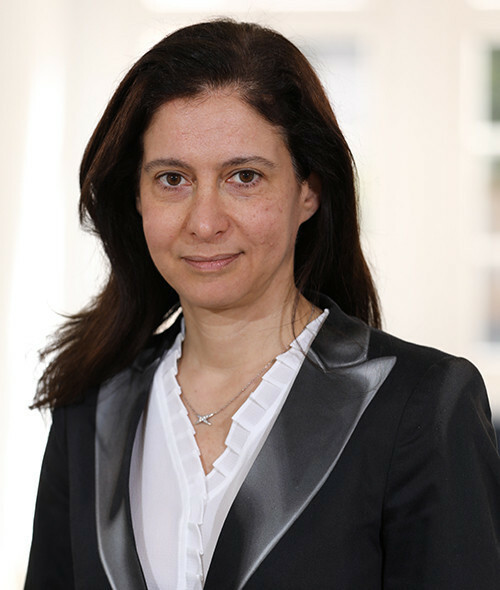 She started her career at the Société Générale de Banque au Liban where she held several managerial positions in the Corporate and Investment Banking Division. Tania is a strong believer in women’s economic potential; she initiated the women empowerment program within BLC Bank and in Lebanon, and she has participated in several international fairs. Later, she became Chair of the Board of the Global Banking Alliance for women (GBA), spearheading the development of women programs around the globe. She is also a Board Member of USB Bank, Cyprus. In parallel, she has built solid experience in privatization of the energy, water and wastewater sectors. Tania holds a Master’s degree in Finance & Communication from Ecole Supérieure des Sciences Economiques et Commerciales ESSEC, France and a degree in Business Administration from the American University of Beirut.